Erin go bragh. 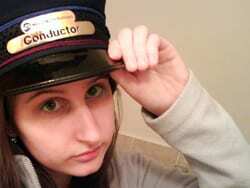 I came across your blog because of a mention in Railfan & Railroad Magazine. You do wonderful stuff. Thank you for sharing so much. I’m still digging through your postings on the Grand Central Terminal centennial. 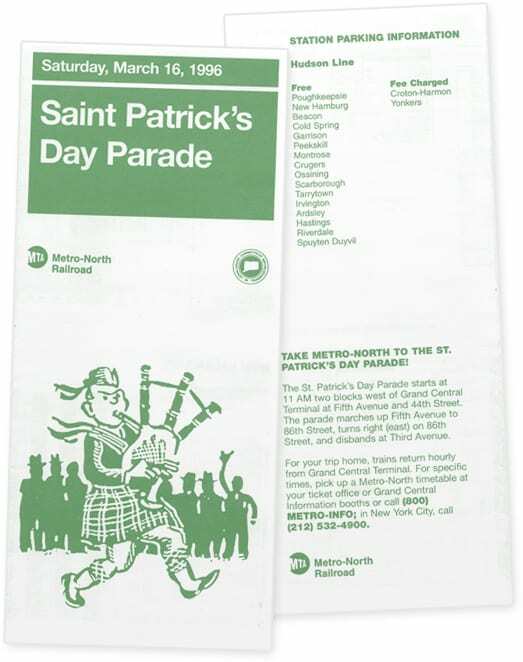 Question: That bagpiper from ’96 looks very much like the cartoon figures that used to appear on NYCTA subway posters back in the early 60s. At first I thought that was absurd — they couldn’t possibly still be using the same artist — but then I noticed the silhouettes are all wearing hats. Do you have any idea if they dug an old TA cartoon out of the archives for this?